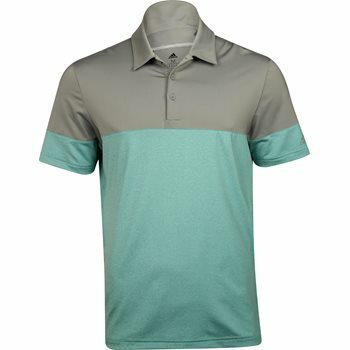 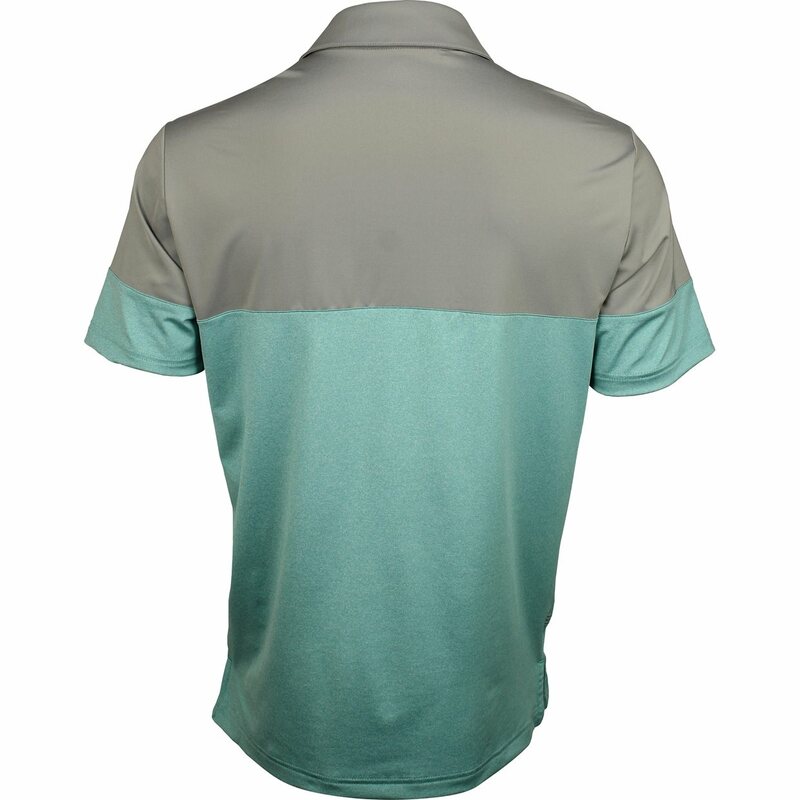 The Adidas Ultimate Heather Blocked golf polo is designed with a color blocked, heathered lower section a three button placket edge stitched seams for durability and a regular fit that’s wider in the body. Technical features include four-way stretch for a comfortable fit and movement with ease, UV protection against harmful sunrays, and moisture-wicking to keep you dry and comfortable in the heat. 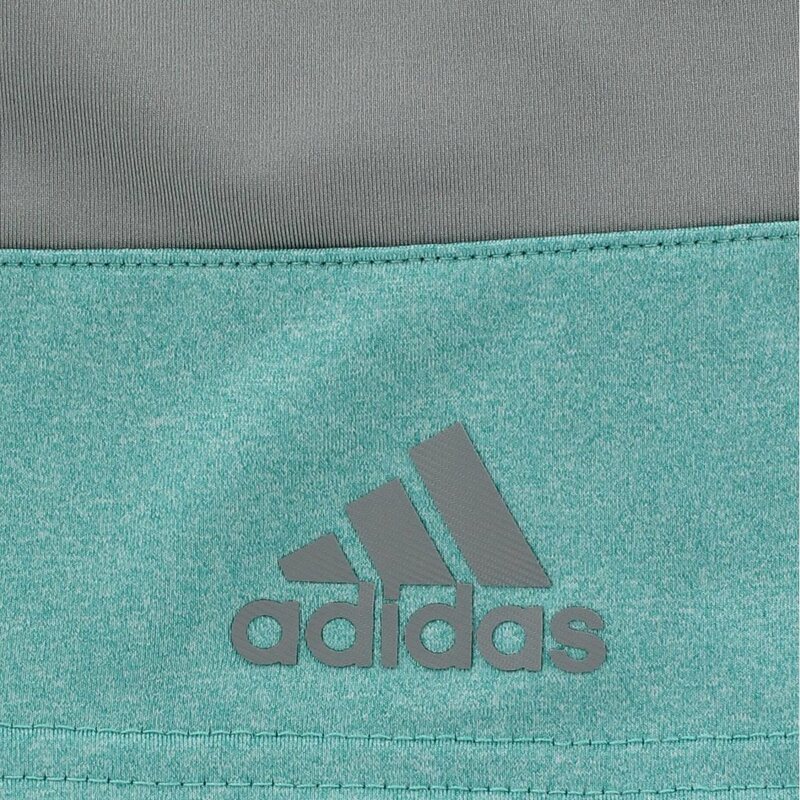 The easy care fabric is machine washable and resistant to shrinking and wrinkles.